One option that many people don’t consider when making home refurbishments is changing their conservatory roof to tiles. This can give a conservatory a new lease of life, improving the room’s general performance and visual appeal. 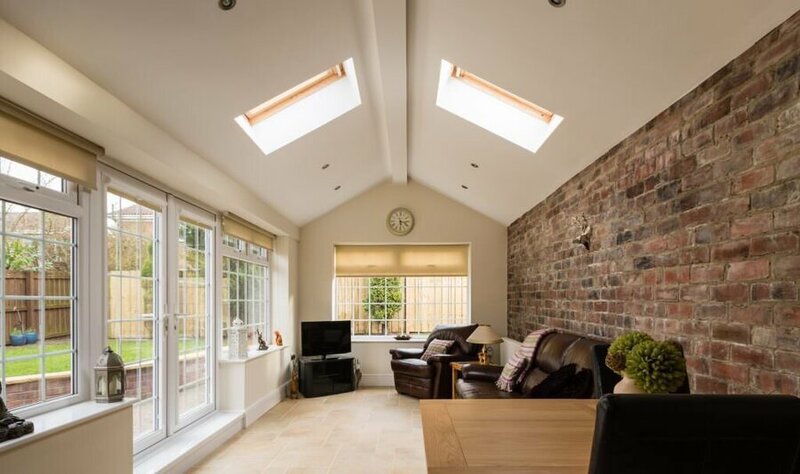 Here at Conservatory Online Prices, we aim to make the process of investing in a home extension an easy one. We open you up to accredited, qualified installers, as well as offering obligation-free quotes for all your home improvements. Changing your conservatory roof to tiles is one of the many roof replacement options on the market. If you invested in a conservatory a long time ago or perhaps moved into a home with an older one already installed, replacing a roof is a smart option. 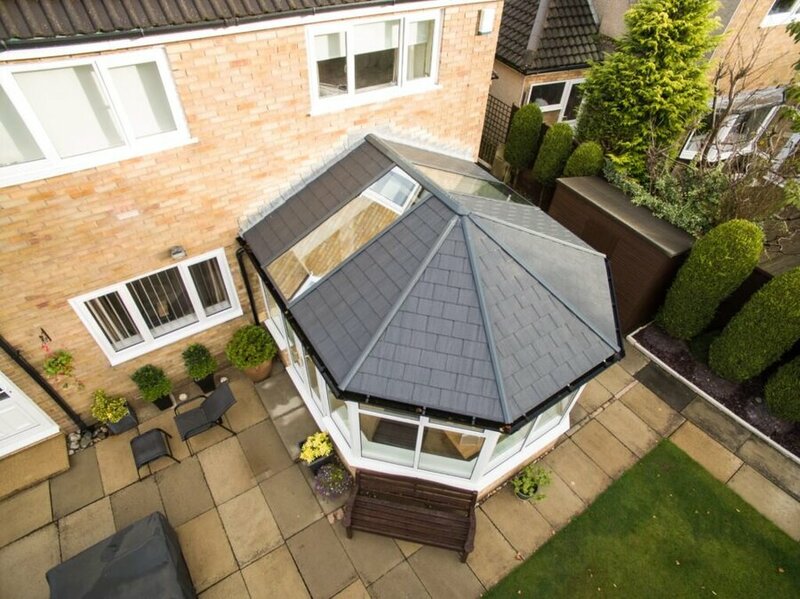 Replacing the roof can help make the conservatory the focal point of your home again. A stunning garden room should be used whatever the weather, and changing your conservatory roof to a tiled one is one way to achieve that. Many people aren’t aware that installers will happily replace outdated conservatory roofs with new ones, even if you didn’t get your original extension from that company. As the majority of our accredited installers offer bespoke conservatory roof replacements, changing your roof to tiles isn’t a problem. If you’re concerned that you aren’t able to replace your conservatory roof with tiles because parts of the actual extension are damaged, don’t worry. Several installers offer services where conservatories can be refurbished. This, in turn, could see you change your conservatory roof to tiles, even if the main body of the extension also needs addressing. What are the Perks of Changing Conservatory Roof to Tiles? You may not be aware of the benefits that come from changing your conservatory roof to tiles. However, there are plenty. The main change you’d notice if you’re replacing an older, polycarbonate roof, is the aesthetic improvement. The visual change will be more drastic than expected but in a good way. Older conservatory roofs can often be drab and dull. On the other hand, a new tiled roof will be striking and eye-catching. Changing a conservatory roof to tiles can transform the look of your home. If you’re replacing a translucent conservatory roof with something more solid, you’ll naturally be concerned about compromising on natural brightness. However, that isn’t an issue. Several installers will offer conservatory roofs in configurations that can include skylights or glassed panels. This, in turn, ensures that the extension remains bright when you replace your conservatory roof with tiles. Having an older conservatory will often mean that the energy efficiency of your home is below par. If you have a dated extension, you’ll probably notice that it’s far too cold in the winter months and unbearably warm in the summer. 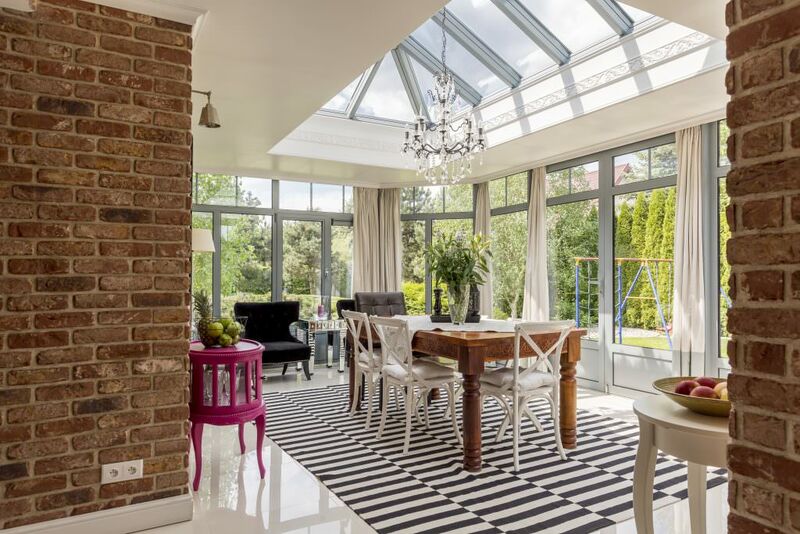 Modern conservatory roofs – including tiled ones – will offer brilliant heat retention. This ensures that your conservatory is the right warmth 12 months a year. If you’re worried that your current conservatory isn’t performing to the best of its ability, replacing the roof is a cheaper option. Not only is it less costly than a whole new conservatory but changing the roof to tiles could save you money over time. As mentioned, you can drastically improve the thermal efficiency of your home with a new roof. In time, you could save money on your energy bills. Everyone wants peace of mind in their home, knowing they’re safe from the worst. Changing conservatory roof to tiles will sharply improve its overall level of security. If your chosen installer uses Ultraframe as their supplier, they will offer a market leading product. The configuration of the tiles on the roof makes them nearly immovable. This makes the conservatory incredibly robust. One major drawback of polycarbonate roofs is that they only really have one look. This makes it tricky to suit different styles of property. However, changing your conservatory roof to tiles opens up a range of customisation options. Tiled conservatory roofs can be made to look more modern. However, many installers will offer tiles in more traditional looks; perfect for any period home. How Much Does a Changing Your Conservatory Roof to Tiles Cost? If you’ve ever attempted to get a general cost for specific home improvement, you’ll know it isn’t that easy. Changing your conservatory roof to tiles is no exclusion from that. The average price of a tiled roof per square metre in 2018 is between £650-£850. However, this can fluctuate greatly depending on where you live in the country. Using a national installer in comparison to a local one can influence the overall cost too. Therefore, if you’re looking to change your conservatory roof to tiles and need around 9sqm replaced, it would cost in the region of £8000. Something of around 24sqm would cost around £18,500. The unpredictably comes because there are so many factors involved in replacing the conservatory roof. The actual size of the new tiled roof will have a significant influence on the overall cost. Working on any damages to your current roof will play a part, as many installers which charge for labour by the hour. Different customisation options and colours can come at a premium as well. However, the biggest thing to note is that replacing a conservatory roof is roughly 70% cheaper than investing in a whole new extension. If the main body of the conservatory doesn’t need replacing, then don’t. It’s that simple. If you’re interested in finding out how much a replacement conservatory roof would cost in your area, you can use our online quote generator at your leisure. So long as you know the style you want your tiled roof to be in, and the required dimensions, you’re good to go. We’ll ask for your postcode so that we can put you in touch with local installers. We only approve the country’s best and most accredited tiled roof installers. As a result, you know you’ll be dealing with a reliable installer when you come to Conservatory Online Prices.